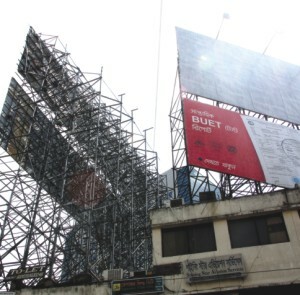 From small wooden boards mounted on poles to massive rooftop hoardings, billboards dominate the urban landscape. Love them or loathe them, if you live in Dhaka, there is no getting away from them. Many consider the huge signs a necessary part of the urban consumer lifestyle while others oppose them on grounds of safety and aesthetics.